‘WBP-03D hospita’l is different from the traditional ABPM, it’s wearable, without visible tube, you don’t need to carry a bag, attach a belt around your waist , and you don’t have to worry about the tube problems at night measuring. the measurement accuracy, motion tolerance, measurement consistency is much better. Its weight is only 105g, with rechargeable Li battery, it supports 200times measurements each charge. 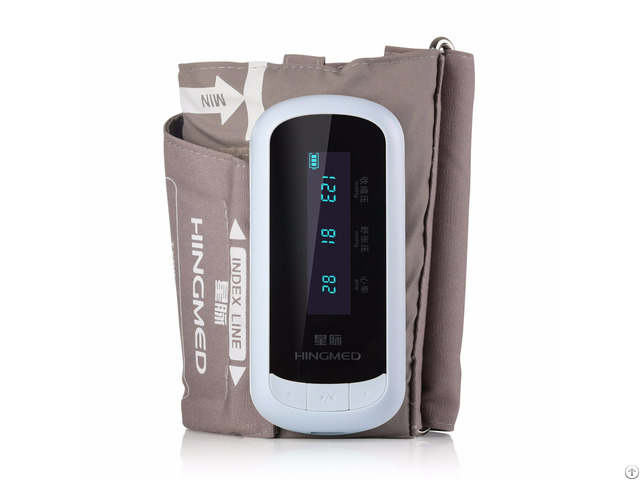 Business Description: Hingmed medical ambulatory blood pressure system provides 24 hours individualized BP monitoring solution. It has three models: Clinical level 24 hours ambulatory blood pressure system for doctor diagnosis in hospital, home ambulatory blood pressure system for individual monitoring at home and wifi ambulatory blood pressure system which help to build inside hospital BP monitoring network.